Like any other sector, delivering healthcare services is also a business for a provider. The only difference is that in the medical industry you call your clients as patients, who are at the receiving end of quality care that will help them stay fit and cure their diseases. While most medical practices focus on acquiring new patients, they fall flat to estimate the significance of retaining existing patients. A patient with satisfactory experience will surely refer your practice to other patients, resulting in more business. Hence, keeping your present healthcare customers happy, satisfied and informed about the whereabouts of their care program and your practice should be your priority, more significant than attracting the attention of new patients. 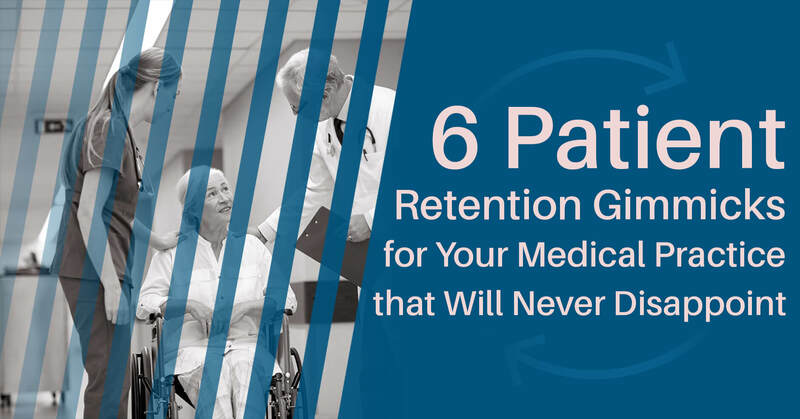 Here are six useful practices following which you can achieve increased patient retention rate for your medical practice. Often, medical practices fail to stand up to what they promise to their patients and which stays for long. Today, patient service is not only about how you treat your patients in the present moment but also about how well you can retain them for future visits. The compelling factor that will keep your existing clients coming back is your honesty with the expectations set by you in the process. Setting unrealistic expectations and being not able to meet them, badly effects relationship with the customer. No matter what the health issue is, medical practices should reveal the truth about it to patients so that they don’t develop any false expectations and later blame your brand for not being able to deliver what they were assured. Before making any promise, first, know what your patients want from your medical practice and then go ahead with plans and strategies to address their demands. There is nothing wrong with being futuristic and making patients believe in it until and unless you go overboard with promises that you cannot meet. Trust is the key factor in a successful relationship especially when it is between a patient and his/her healthcare service provider. If your patients cannot keep faith in your medical practice, then they are likely never to come back and at the same time spread negative feedback among others, destroying your brand reputation. Building trust is not a onetime investment. You have to continually indulge in interactions and activities that will nurture your trust relationship with your existing as well as new clients. If they trust your brand, patients will recommend you to others and also stick to your practice throughout as loyal customers. Use insightful patient data to add value to your services which will eventually help in meeting their expectations on time or else be ready to lose your patients to your competitors. Apart from delivering quality care, you should also make your patients feel valued through planning surprises for them. Walking that extra mile to show how vital your patients are for your medical practice will work in your favor, winning loyalty and trust of your customers. Along with the rise in demand for services, the competition level has also doubled in the healthcare industry making it compulsory for medical service providers to do something different to remain in the race. For instance, to make your service memorable for your patients, you can send a handwritten note in their name wishing for a speedy recovery. This gesture will make them feel right about your organization and its staff. It will encourage them to visit again when they need. Also, you can offer amazing discounts or additional services at no extra charge to surprise your patients and motivate them to have favorable conclusions about your medical practice. Feedback from your patients will only help you to better your medical practice. It’s very rare that your patients come upfront to speak about their experience with your medical practice. Hence, you need to approach them for review or feedbacks voluntarily. This can give insight on what they liked and what not about your service. Though surveys may sound boring, it serves your purpose of knowing the feelings and thoughts of your patients. Even if your patients complain, accept it and work on those weak areas. By doing so, you can convert negative feedback into a positive. Knowing your patient’s part of the story will help you develop solutions that address their concerns. This will also contribute to their retention. Let your customers express themselves and use that review to re-engage with clients for building long-term relationships. Creating content that resonates with your customer retention strategy will work wonders for your healthcare business. Timely interactions and alerts on the services you provide will help you in staying in constant touch with your patients. This will never let your brand’s memory fade from their mind. Healthcare brands who have seen successful patient retention outcomes uses communication calendar. This helps them to maintain frequent communication with patients through sending notifications, event reminders, and personalized notes. By doing so, you will never miss opportunities to engage with your patients. And hence, can stay in their good books and develop trust towards your brand. No doubt that traditional marketing practice has its own set of advantages. But in today’s fast-moving world, manually performing the job has become obsolete. By automating your medical practice, you can do your routine marketing task using the software. It will not only reduce your work pressure but also get the job done with efficiency and comfort. Marketing automation software can perform a whole lot of essential duties. These tasks when done manually increases workload and wastes a valuable part of your time. You can automate the job of managing patient contacts, scheduling newsletter and emails, sending appointment reminders and more. Thus, the time marketers can use in establishing effective communication, knowing patient needs and strategizing activities to retain them. Retaining patient is a crucial part of your healthcare business. You cannot afford to lose any patient because of your ignorance and carelessness towards them. While acquiring new customers is essential, one cannot ignore the significance of existing client base. The effort to retain your patients decides whether they will stay or go. Hence, you need to strategize your retention strategy to lead your practice in the right direction.